While the thrill of the open road may beckon to your adventurous side, operating a motorcycle comes with its fair share of hazards. 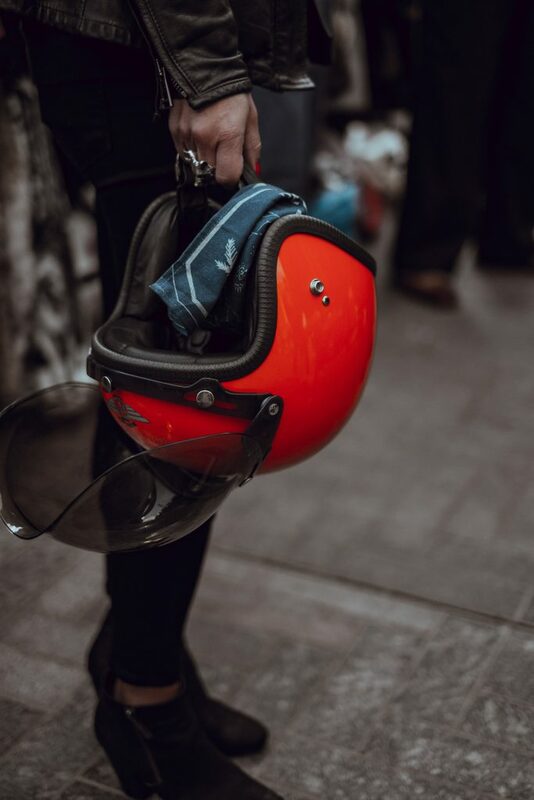 Because motorcyclists are less visible and lack the same protection as driving an enclosed motor vehicle, injuries resulting from a motorcycle accident are often more serious. If you’ve been in a collision, a Michigan personal injury attorney at Sinas Dramis will help get you back on the road. Contact us for a free initial case review. Call to speak with an attorney about your motorcycle accident at (517) 394-7500. I’ve been in a collision with a motor vehicle, what do I do? What are my rights when my motorcycle was the only vehicle involved in my accident? Can I collect Michigan no-fault benefits if I’ve been injured? I was in a motorcycle hit-and-run accident and don’t have the other driver’s information. Who pays for my injuries? Which insurance company has the obligation to pay in the event of a collision with an automobile? I’ve been injured, should I hire a Michigan motorcycle accident lawyer? If the other vehicle is at fault, do I have rights to additional compensation for my injuries? Who is responsible for damages to my motorcycle? I’m riding my motorcycle cross-country, do my no-fault benefits still apply? What coverages should I look for when purchasing auto no-fault insurance with regard to operating a motorcycle? What does Michigan law say about wearing a helmet? These questions are just the tip of the iceberg. Because each motorcycle accident in Michigan is unique with its own set of diverse variables, your case can be a complicated and lengthy process to navigate. When you call Sinas Dramis Law Firm, you’ll be connected with an experienced Michigan motorcycle accident lawyer who will walk you through your next steps and explain your rights as a motorcyclist in this state. $2.9M to single woman motorcyclist struck by a commercial vehicle resulting in serious orthopedic injuries. $2.77M highway defect case resulting in motorcyclist quadriplegia. $2.5M wrongful death settlement in motorcycle collision with a construction contractor. $1.26M multi-vehicle collision resulting in severe orthopedic injuries to the motorcyclist. $600,000 liability settlement for motorcyclist who sustained a traumatic brain injury, as well as shoulder and knee injuries. $250,000 to 37-year-old motorcyclist thrown 20 feet from his motorcycle resulting in loss of consciousness and multiple other injuries. $100,000 to rider ejected from motorcycle when bales of hay fell from a pickup truck. The number one contributor to multi-vehicle accidents involving a motorcycle is poor visibility of the motorcyclist. Increase your visibility by running your headlamps at all times and wearing brightly colored clothing. Protect your eyes – an estimated 73% of accidents involved a rider with no eye protection and it’s likely wind and other elements contributed to the collision. Be aware, constantly scan the road. Give yourself space and extra time to respond to other motorists and road conditions. Don’t ride under the influence or when you’re tired. Follow the rules of the road, especially the speed limit. Become very familiar with your bike; more than half of all motorcycle accidents involve riders with less than 5 months of experience on the motorcycle involved in the collision. If you’ve been seriously injured in a motorcycle accident, your first priority is to seek medical attention and take care of yourself. Depending on the severity of the collision, you may need to be taken to the emergency department via ambulance. If you are unable to, local law enforcement should be on the scene to help gather information regarding your accident, such as the other motorist’s insurance and contact information. Once you have been assessed by a medical professional, you should consider consulting with an experienced motorcycle accident lawyer regarding your case. Sinas Dramis offers free consultations and doesn’t collect a single fee until you settle or win. Call (517) 394-7500 for a free case consultation with an experienced attorney today.